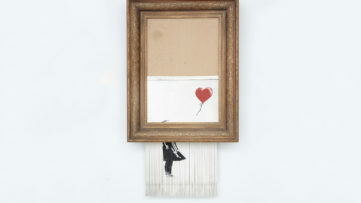 And our artist of the week is Banksy! Who else could it be? 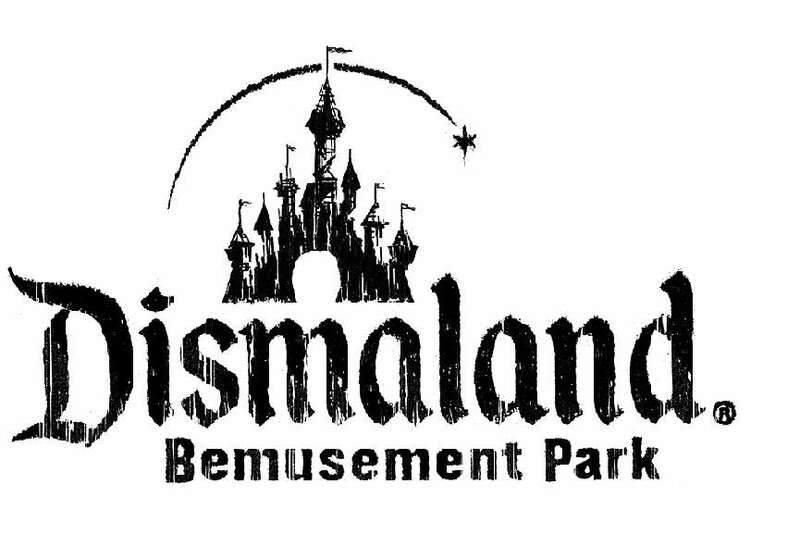 All the other artistic engagements were completely overshadowed by the opening of Dismaland, unless they were part of the Bemusement Park attractions. 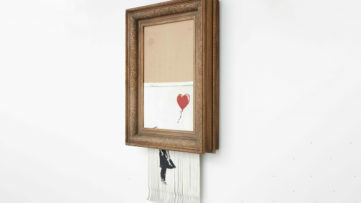 In recent times, there were lot of questions regarding Banksy and his work, since he was completely quiet for months. After his Gaza interventions in February, there was almost nothing new to see from this controversial UK graffiti writer which triggered a line of rumors about the reason he is missing. 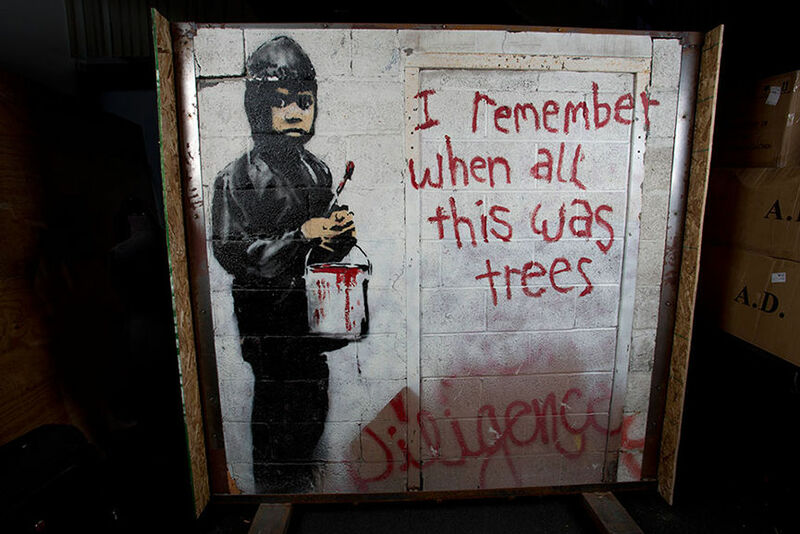 That is until now when people around the world went crazy over his latest pop-up exhibition in Weston-super-Mare near Bristol and finally found out what was the big surprise Banksy was planning for months. Dismaland Bemusement Park opened on August 21st and ever since the reports on this ingenious artistic creation were all over internet. 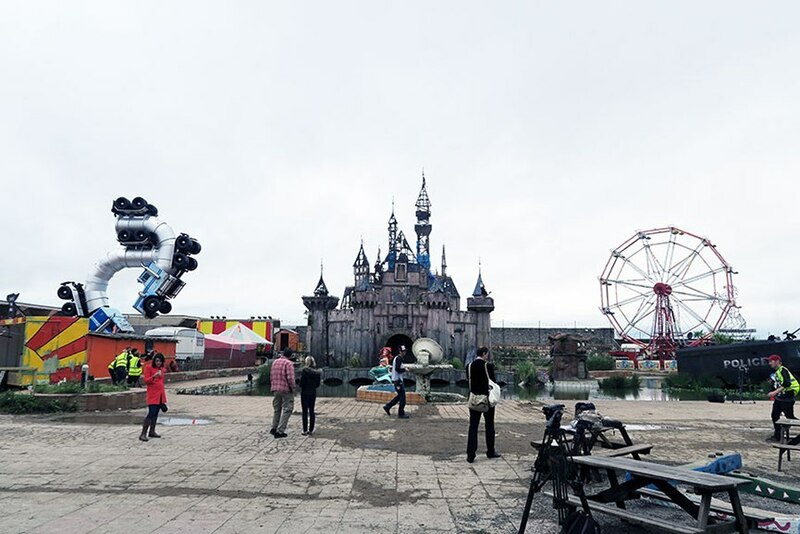 Dismaland dystopian theme park is Banksy’s biggest project to date and it is no wonder that everybody was exhilarated and eager to find out what’s inside and to make their visit to this monumental installation. 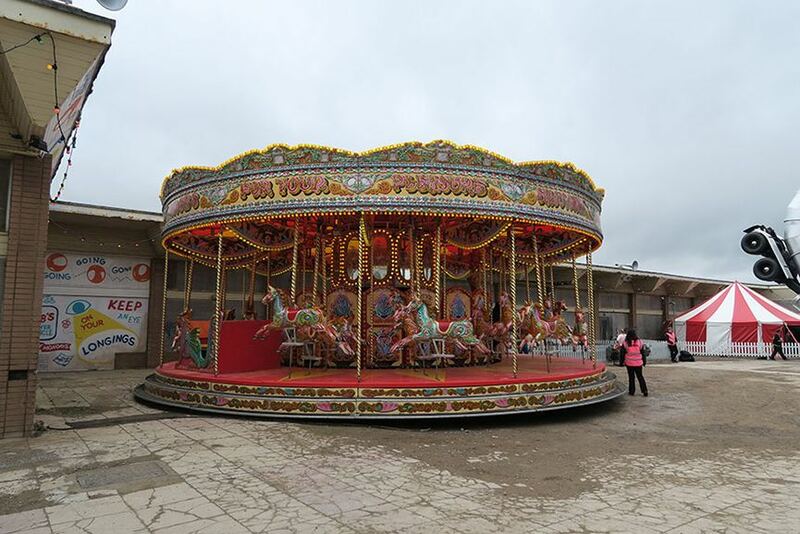 However, when tickets became unavailable due to the crashing of the official website many started speculating if this was done purposely, as yet another way of enhancing the overall depressing and frustrating Dismaland experience. Those visitors who actually succeeded in entering the park were not very impressed and even bored with the feeling of betrayed expectations. Other wonder if those who were looking for the amusement were in search of the wrong message. Rather than being the “happiest place on Earth” Dismaland is nothing else but a burst of reality in the most inappropriate form, continuing the line of Banksy’s politically charged art interventions. 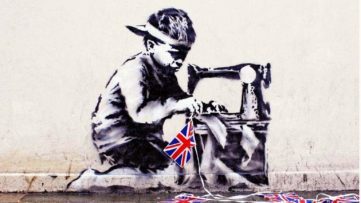 Remember When Banksy Was Just a Street Artist? 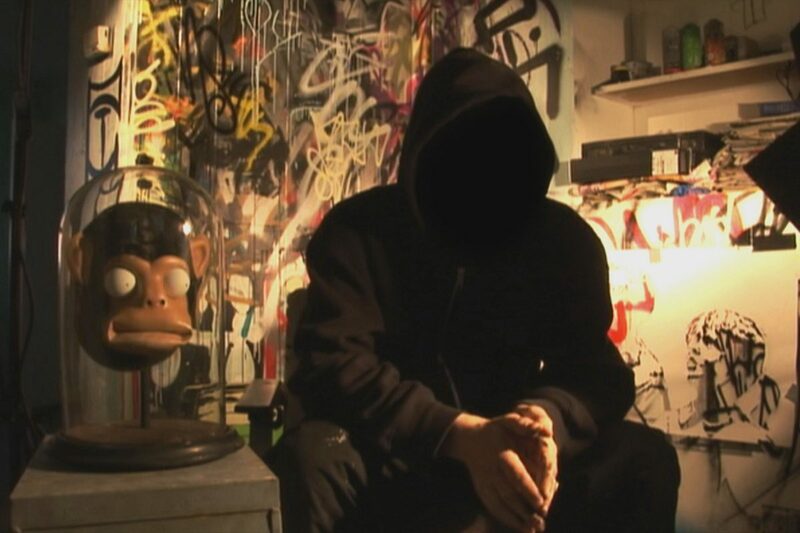 Even before he became a celebrity in the world of art Banksy’s pieces were often in the center of attention, raising controversies and sparkling debates. Dismaland is only the latest example in the series of Banky’s subversive works. Sometimes the polemics regarding his work are not at all triggered by their controversial nature like the stealing of his murals for instance. Recently, it was announced that two of his famous street art pieces are to be sold at the upcoming auction at Julien’s auction house in Beverly Hills. The selling or stealing of his Donkey Documents and I Remember When All This Was Trees murals challenge the way we perceive street art today. Detachment of murals from the walls and their auctioning for the enormous amounts of money seems to be the latest trend when public pieces of the renowned artists are concerned and whatever our thoughts on this may be it seems that this practice will continue in the future. And it would be an unimaginable thing in the mid-nineties when Banksy was just beginning his street art endeavors. For those nostalgic of those times a soon to be closed retrospective exhibition in Croydon, bring some of Banksy’s early works remembering that before he was a celebrity he was just a graffiti writer for whom It Began on The Walls. 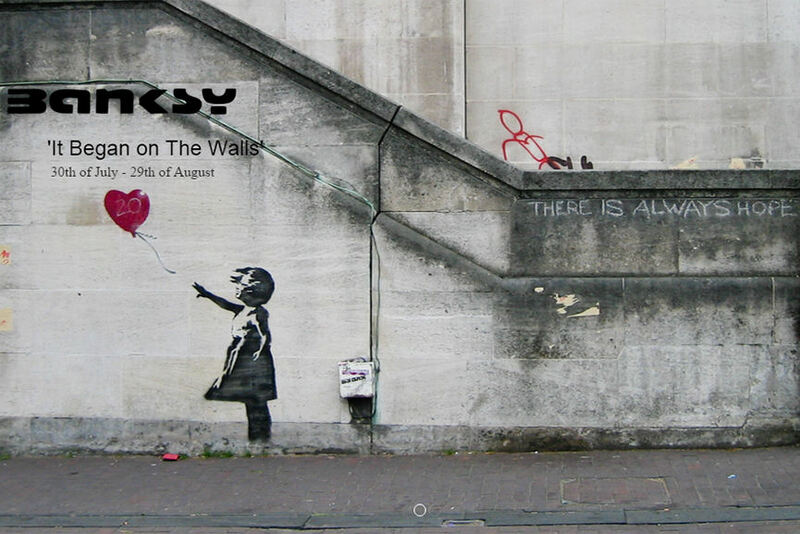 Remember to sign up for My Widewalls for FREE and discover if somebody will outshine Banksy next week!